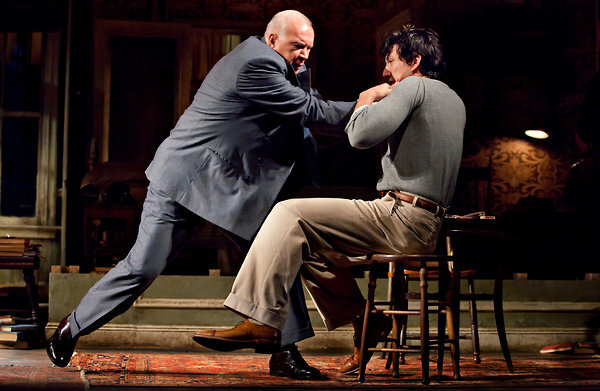 The particular pleasure of [Langella's] performances comes from the precision with which he applies his old-stager's technique to the specifics of his role. A showy actor by instinct, he has the discipline to hold his innate flamboyance in check until the character has some justification for behaving flamboyantly. The fun of watching him leap for these glittery tidbits—a silent seizure of gleeful triumph here, a sudden upsurge of fury there—is balanced by the elegant way he weaves them into the overall texture, binding them together with a smiling, soft-spoken charm.